Who’s ready for pond stocking in Harrisonville, MO? Stock My Pond visits Family Center Farm & Home in Harrisonville, MO. The truck will have channel cat, largemouth bass, black crappie, bluegill, hybrid bluegill, red ear bream, fathead minnows, and grass carp. Find out what type and size fish we offer on our website. The truck provides containers for all fish but the 11″ channel cats, so please bring your own containers for them. 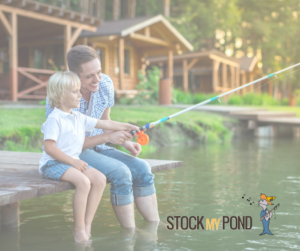 Who’s ready for pond stocking in St. Joseph, MO? Stock My Pond visits Family Center Farm & Home in St. Joseph, MO. The truck will have channel cat, largemouth bass, black crappie, bluegill, hybrid bluegill, red ear bream, fathead minnows, and grass carp. Find out what type and size fish we offer on our website. The truck provides containers for all fish but the 11″ channel cats, so please bring your own containers for them. Who’s ready for Pond Stocking in Butler, MO? Stock My Pond visits Family Center Farm & Home in Butler, MO. The truck will have channel cat, largemouth bass, black crappie, bluegill, hybrid bluegill, red ear bream, fathead minnows, and grass carp. Find out what type and size fish we offer on our website. The truck provides containers for all fish but the 11″ channel cats, so please bring your own containers for them. 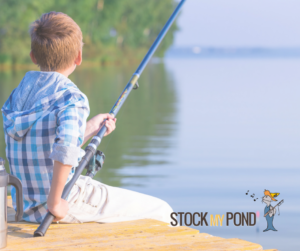 Looking for pond stocking in Florala, Alabama? Stock My Pond visits Florala Co-Op. The truck will have channel cat, large mouth bass, black crappie, bluegill, hybrid bluegill, red ear bream, fathead minnows, and grass carp. Find out more on our website. The truck provides containers for all fish but the 11″ channel cats, so please bring your own containers for them. 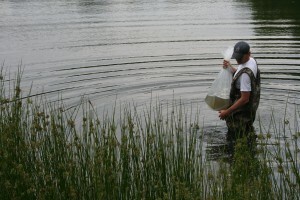 Looking for pond stocking in Andalusia, Alabama? Stock My Pond visits the Andalusia Farmers Cooperative in Andalusia, Alabama. The truck will have channel cat, large mouth bass, black crappie, bluegill, hybrid bluegill, red ear bream, fathead minnows, and grass carp. Find out what type and size fish we offer on our website. The truck provides containers for all fish but the 11″ channel cats, so please bring your own containers for them.